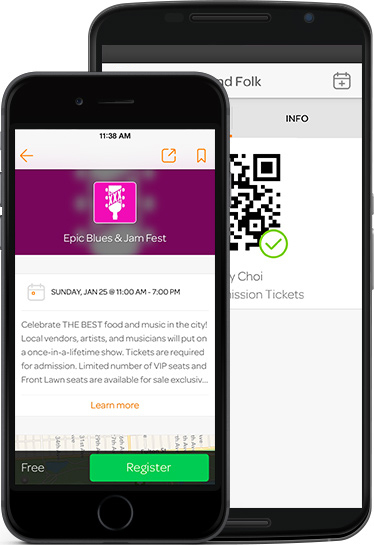 Find popular events, unique local experiences, and events just for you. See where your friends are going so you never miss out on the fun. Just show your ticket on your phone to get in. Pay with your phone and secure your spot. Easily check guests in at the door.